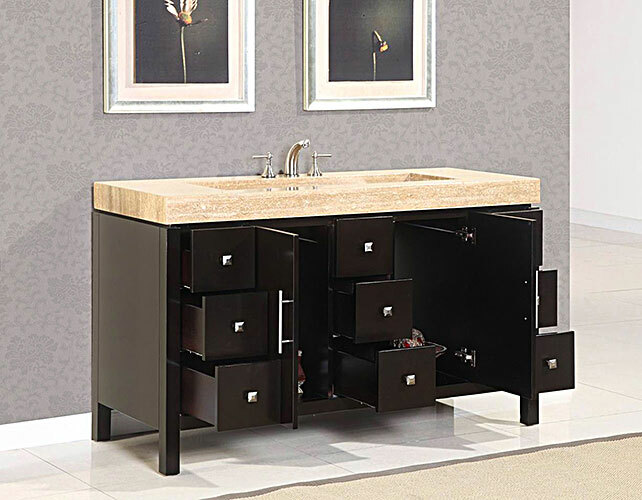 The 60" Carmelius Single Bath Vanity and its stately design with give your bathroom a handsome style that's matched by no other. Featuring a deep Espresso finished cabinet that's accented with Brushed Nickel hardware, the Carmelius boasts two single-door cabinets and eight fully-functional drawers of storage. 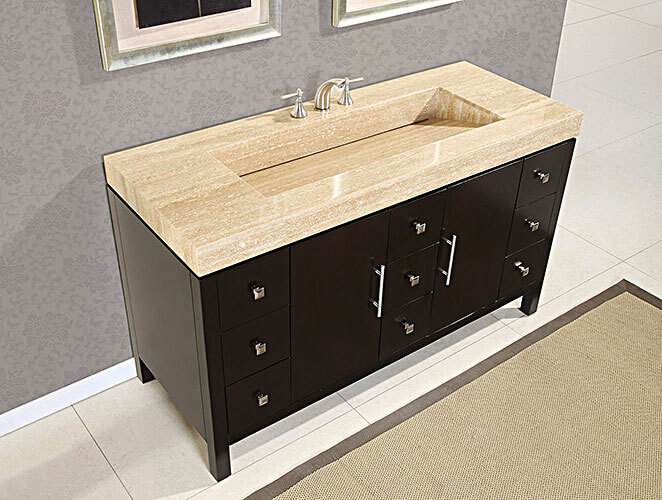 Its Roman Vein-Cut Travertine integrated sink top adds a classy appeal to the entire vanity as a hole. To make installation hassle free, three faucet holes have been pre-cut into the top and a large cutout has been made in the back. Faucets are not included.